Next up from the “I never thought I’d see that” file is the Gibbs Biski, a 500 lb, 55 hp amphibious motorcycle built by Gibbs Technologies. 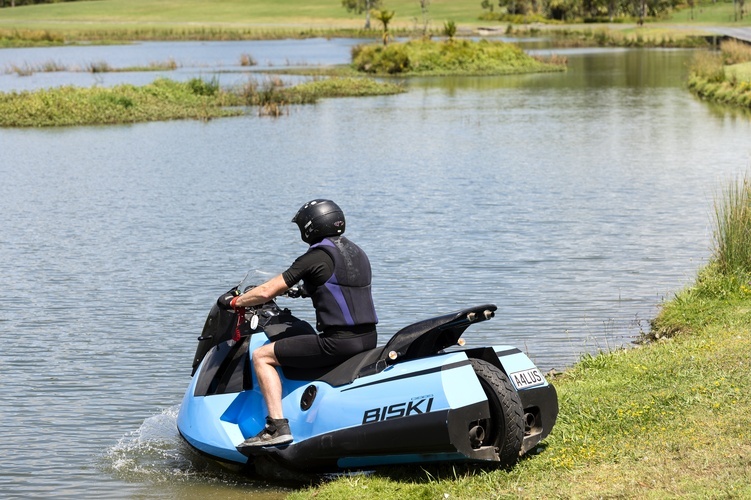 Before you go looking for a local dealer, you should know that the Biski is just a one-off prototype for now, just like their other amphibious offerings. Other prototypes include a three-wheeler and a couple of four-wheelers. According to this announcement, the company is hoping to enter full-scale production thanks to a manufacturing partnership. Beneath the sculpted fiberglass body of a personal watercraft hides the skeleton of a scooter, with a twin-cylinder gas motor of undisclosed displacement driving both the rear wheel and the impeller (jet-drive). While in landlubber mode (on two wheels), you can simply ride right into the water. Switching to watercraft mode, which retracts the 16” front wheel and 15” rear wheel up into recesses in the hull and engages the jet drive system, takes about five seconds. Twist the throttle again and you’ll be up on a plane and boating in just about three seconds. How about performance? 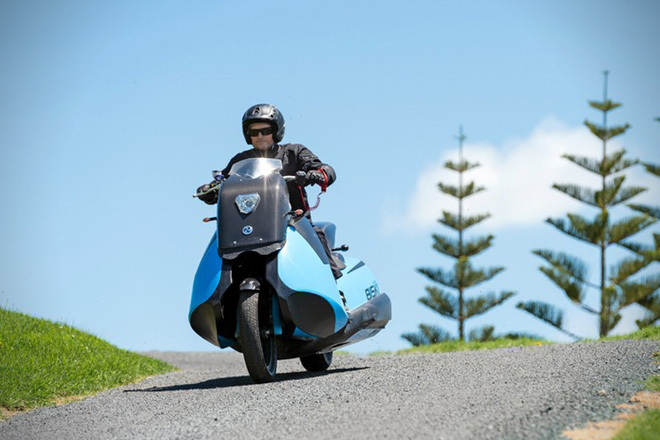 On two wheels, the 503 lb, 7’8″ long vehicle is capable of reaching 80 mph. Top speed on the is a more relaxed 37 mph. 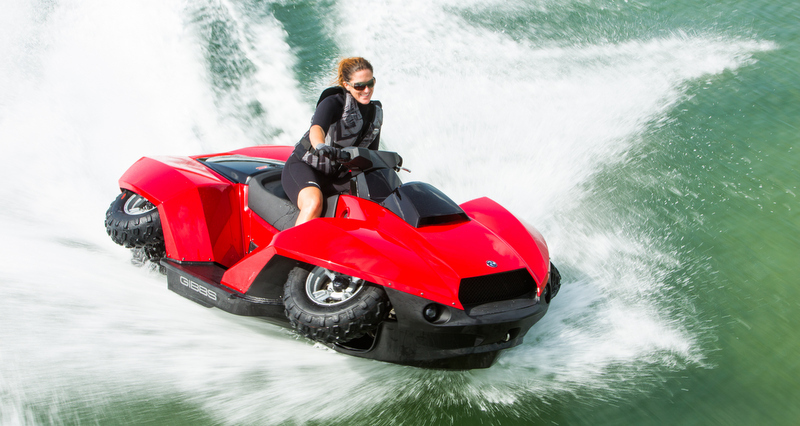 Back in 2012, the larger, four-wheeled Gibbs QuadSki made a splash when production began. At $42,000, dealers sold about 320 units through 2014. Unfortunately for Gibbs, a Consumer Product Safety Commission recall in February of 2015, along with other undisclosed company events, have put production on hold. On their website, no prices or purchase options are currently provided, beyond an inquiry form on their Contact Page. That said, Gibbs may yet return to land and sea. Their website still lists 21 retail dealers in the US. Paul Gerle has been riding and writing about anything with wheels and a motor for 34 years. He has owned and ridden an Adly 150, a Genuine Roughhouse 50, and over 30 different motorcycles.